I have a mother I adore – she’s strong, wise, funny, and kind. I’m grateful for her every day. She’s 89 years old and lives alone. After 59 years of marriage, she was widowed when my dad had a sudden brain hemorrhage. 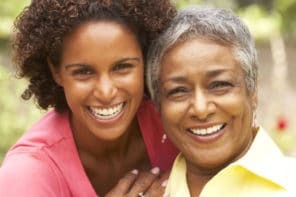 Caring for my mother is a meaningful part of my life – but it isn’t always easy. I don’t live near enough to visit as often as I’d like and the rest of our family is scattered across the country as well. Because my mom can’t easily go out and see family or friends, I worry that she’ll become isolated and lonely. And with today’s fast-paced lifestyle, it can be difficult for our family to stay in touch in traditional ways. To boost her mood and prevent her from feeling alone, I’m always looking for simple ways to help her keep in touch with me, family, and close friends. Fortunately, I found a solution that works for us. 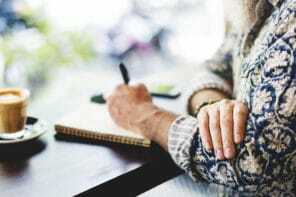 In a series of studies of tens of thousands of older adults, researchers examined the lifestyle factors that predict longevity. Surprisingly, the most important factor was not exercise or even quitting smoking. The top two most important factors in predicting longevity were: 1) being social and 2) close relationships. Being social includes all social interactions with anyone, big and small. For example, how often your parent sees another human, chats on a video call, talks on the phone, receives a photograph, connects with a grandchild, or sends/receives a letter. That’s why it’s so important to make it easy for older adults to stay connected with family and friends, maintain their close relationships, and generally be social. The solution I found to help my mother stay socially active is the grandPad, a tablet that’s designed to be fun, easy to use, and safe. For example, my mom can video call me just by touching my photo! There’s so much she’s able to do now that she has a tablet that’s so simple and focused on what she does most often – video call and look at photos. Plus, there are no passwords or wireless connections to worry about because an Internet connection is built right in. There are plenty of tablets on the market, but none of them were right for my mom. They had too many complicated features, I would have to be her tech support, and I worried about her getting scammed on the Internet. What I like best about grandPad is that it focuses on connecting with trusted family and friends. The large buttons and easy-to-use design make it a simple tablet for seniors who are ready to start video chatting and sharing memories with family and friends around the world. Plus, grandPad includes over 30 million songs plus weather, news, brain-stimulating games, and excellent customer support from people based in the US. And it’s also designed to work for people with lower vision and hearing impairments. My mom’s grandPad arrived preloaded with her contacts and family photos. Like a digital photo frame, her special memories appear in a continuous loop as the grandPad sits on its wireless charging stand. And when my mom taps on an image of me, my sister, or a friend, she can instantly video call us. So far, she has 24 contacts on her grandPad — and she can keep adding as many as she likes! After she broke her hip, my mom had an in-home caregiver named Joy for three months. Joy and my mom used the grandPad to stay connected with me and our family. It was an easy way to give us a window into their day: meals prepared, activities enjoyed, and all the “little things” that are so important. grandPad’s mission is to improve the lives of millions of seniors by connecting them with family, friends, and caregivers. The grandPad​ – the first tablet specifically designed for seniors​ – comes ready to use out of the box and features a secure private family network and 24/7 live customer service. Seniors can play games, listen to music, and enjoy many other exclusive apps on the grandPad. ​Family ​and friends ​can video chat, ​send voice emails, and share photos through grandPad’s companion app. For more information, visit getgrandpad.com, like @grandpad on Facebook, or follow @grandpad_social on Twitter. This article is sponsored by grandPad. For more information, see How We Make Money. What a wonderful tool! It’s amazing that technology allows us to connect with our loved ones, and overcome the loneliness caused by aging. What a blessing that is.